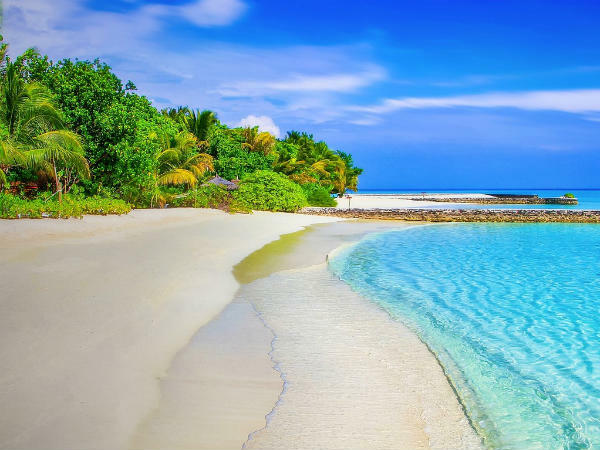 Whenever we hear of Andaman and Nicobar Islands, the things that strike our mind are turquoise waters, secluded islands, serene beaches, luxury cruise ships and a heavenly climate. Isn't it? We have been travelling to this unbelievable paradise by air and water for decades. Well, now the time has come to start thinking about railways and Andaman and Nicobar Islands simultaneously. Yes, you read that right. Andaman and Nicobar Islands are all set for a railway line. Under the Andaman rail project, these islands will be provided the facility of railway stations, thereby, making travelling convenient. Read on to know more about the project and how it is going to affect tourism in the territory. As per recent reports, the government of India has undertaken this project to join two significant centres of Andaman and Nicobar Islands, i.e., Diglipur and Port Blair, by rail. The total length of the railway track spread in between these two destinations will be 240 km, which is supposed to run parallel to the coastal region. An amount of about INR 2413 crores is said to be invested in the project. The government is looking forward to making travelling convenient and increasing tourism in the region. Even though the exact date of the commencement of the railway line is still not out, it is expected to get started in the year 2019. If Diglipur in the North Andaman Island gets connected to the capital city, Port Blair, travelling in Andaman and Nicobar Islands will become easier. People will be able to reach their destination in minimal time and will be able to explore places conveniently. One will not have to wait for a bus or catch a ferry to reach their destination. Therefore, tourism is all set to take a leap after the construction of this railway line. As per the lieutenant governor of the region, Jagdish Mukhi, there is going to be an increment of more than 1.5 lakh visitors. Don't you think travelling in Andaman and Nicobar Islands by rail will be more of fun? You would be able to savour the picturesque views of the blue waters, beautiful horizon and white sandy beaches from a different angle. After all, the railway track will run parallel to the shoreline. So, don't you think you have got another reason to visit Andaman and Nicobar Islands? Can you already experience moving past islands and beaches in a train as you sip on a sweet refreshing drink? If you would love to relish such things, then you must experience the railway service of Andaman and Nicobar Islands.